Since this is the last Friday before Christmas I figured I should post my all time favourite Christmas post. It obviously isn’t my original post but it is one of the cutest things I have ever seen and I love my granddogs. So Merry Christmas everyone. Have a safe and happy holiday season! Damn it those dogs are cute. I agree! They are the funniest pair! They are always posing. They are people I think!! 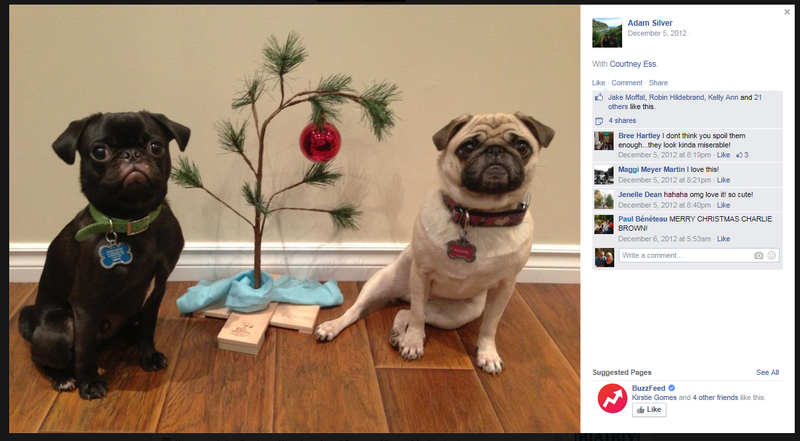 This entry was posted on December 19, 2014 by geekosuave in Facebook Fridays and tagged Adorable, Christmas time, Cute, Pugs.